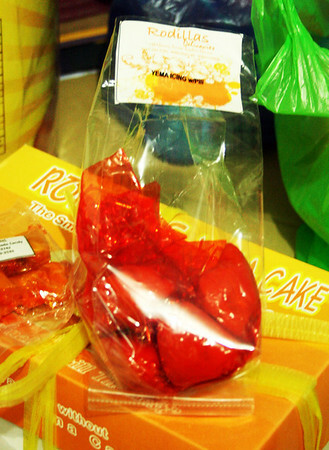 Hubby had to go to Tayabas, Quezon and he discovered Rodillas Restaurant, which turned out to be famous for their yema cakes. 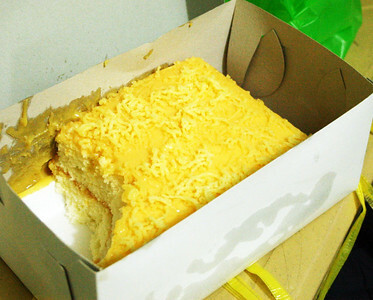 The cake itself is light, but I found the cheese on the yema icing slightly saltier than what I'd like. Either they're heavy-handed with the cheese, or they just use saltier cheese. Although this was delicious and something I'd make sure to get if ever we're in Tayabas... I honestly prefer the yema cake I buy from the Bakers Dozen thingie at Power Plant Mall (because that yema cake isn't too sweet nor salty, just right). 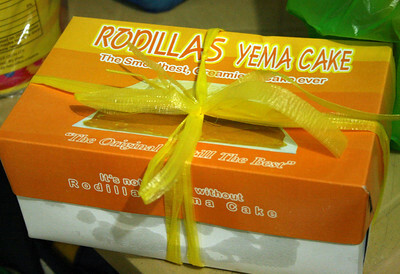 So, if you're heading deep South and passing by Tayabas, make a stop at Rodillas for their wonderfully sinful yema cake.